Castles in Slovenia, Spain & Germany. This renaissance castle was built into a rock near the town of Postojna, Slovenia. It was built in the stone wall to make access to it more difficult. There is also a secret shaft leading out of the castle. This monumental stone fortress located near the town of Segovia, Spain, is one of the most famous castles in the Iberian Peninsula. 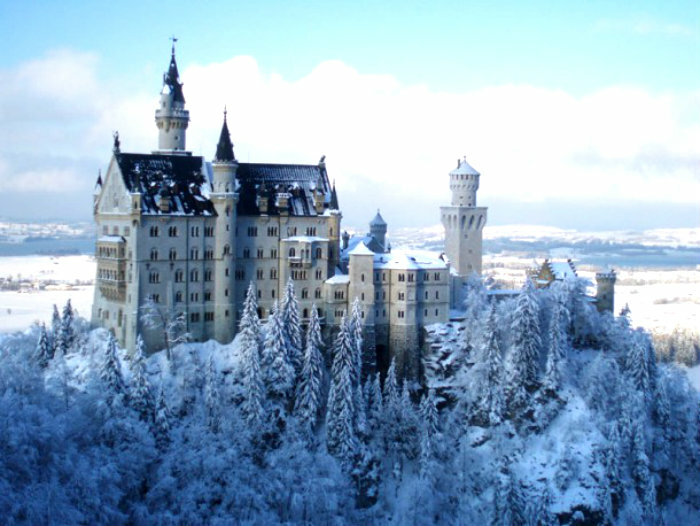 Thanks to its distinctive shape, it became one of the inspirations for Disney´s Cinderella Castle. The Neuschwanstein Castle’s fairytale-like look makes it one of the most popular tourist attractions in Germany with more than 1.3 million visitors every year. Look how incredibly impressive it is in winter! See more Images via 25 Astounding Fairytale-Like European Castles and Chateaus. ← Machu Picchu with my Friend.